Is your website compliant with the HRA? The Government’s Homelessness Advice and Support Team (HAST), are on the case with local authorities over their homelessness webpages. They recognise that in most cases the LA’s website is the first port of call for customers looking for housing advice. This is good news for providing a low-cost, early prevention advice service. It can also a technical and resource challenge for housing teams. I’ve had a good look at what local authorities across the country are providing online, and it would be fair to say it’s a mixed bag. HAST obviously feel the same, and seem intent on improving standards across the sector. Is your website compliant with the Homelessness Reduction Act? Creating and updating websites can be a laborious task. Often the information provided is quickly out of date. I’ve lost count how many times I have gone to a business website, only to find it hasn’t been updated for months. The (not so) new game in town is social media – but this is not necessarily a suitable platform for complex advice services. Providing lots of information on a page or pages might meet the basic requirements of the legislation, but is it really effective at driving demand away from other, more costly advice channels? How easy is it for customers to find the right advice to match their circumstances among a sea of information? Help is at hand. It’s called AdviceAid SelfServ. It provides tailored, quality and consistent housing advice – and gives it direct to customers on your website, 24-hours a day. It takes the customer on an interactive journey to ascertain their situation and tailor advice. The user is able to keep a written record for future reference. 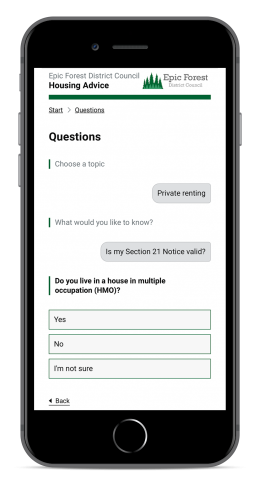 AdviceAid contains over 200,000 words of expertly written advice covering the most common issues, including: tenant’s rights, benefits, harassment, S21 notices, mortgage arrears, domestic abuse, rights of occupation, welfare reform, illegal eviction, rent arrears, housing disrepair and much more. The advice is always up-to-date and is even localised to your area. Based on the Government Design System, AdviceAid SelfServ is branded to match your website and meets the incoming statutory accessibility guidelines*. Click here to try it for yourself. * look out for a blog on this topic, coming soon! Thomas Fowler is Co-Founder and COO of AdviceAid. 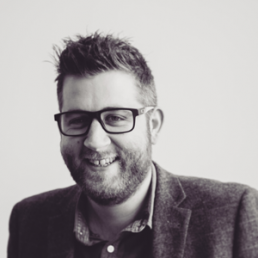 He has an extensive history of designing services for vulnerable people both in the voluntary and public sector. Thomas was responsible for developing the UK’s first direct access hostel on a working farm. He is passionate about tech for the common good.